There are times when we set out to meet our career goals, and then an opportunity arises that sets you on a totally different path. I would like you to meet Sherri Crawford. Sherri’s introduction into the golf business in Myrtle Beach is exactly that. Sherri is from Gatlinburg, Tennessee and she attained a BS Degree in political science from East Tennessee State. After graduation, she began her professional career as a retail mall manager for Tanger. In March of 2002 she relocated to Myrtle Beach, S.C. to continue her career with Tanger. Not long after moving to the beach Sherri’s talent for marketing was noticed and she became involved in the golf business. She became the Director of Marketing for the Classic Golf Group. Sherri continues to serve in that capacity as well as serving as the Golf Director for Classic. 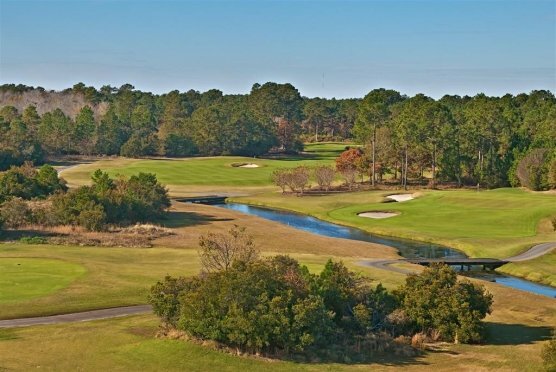 Classic Golf Group currently manages Burning Ridge Golf Club, Indian Wells Golf Club and The Founders Club at Pawleys Island. Sherri met her husband, David, only three months after moving to the beach and today they share their lives with “Bugsy”, their beloved Shitzu. Sherri began playing golf in September of 2008 and that December lived out many golfers dream of playing Pinehurst No. 2, which hosted both the Men’s U.S. Open and the Women’s U. S. Open this June. Pinehurst had to be a pretty tough introduction to the game, but a memory I am sure she will always cherish. Sherri says that some of her favorite things about living at the beach are the many coves, the ocean, beach and its wonderful seafood. Her favorite golf course is Burning Ridge because it is lady friendly and fair for all who play it. Her favorite restaurant is Gulf Stream Café. When not enjoying all that the coast offers, Sherri loves following the Tennessee Volunteers, tennis, crafts and cooking. She and David have a new RV which allows her to enjoy her passion of traveling. On any given weekend you might find them at a football game, NASCAR race or just chilling out at a campground. Her future includes lots of travel. Sherri has served on the North Myrtle Beach Chamber Board, the Georgetown Chamber Board and the Caring In Our Lifetime Board which benefits breast cancer. She is obviously very community minded and takes time out of a busy schedule to participate as much as possible. One special story that Sherri shares is that on her first day of living at the beach, she got food poisoning. I am sure that might seem funny now, but it wasn’t a very pleasurable experience at the time. The beach is fortunate that she decided to stick it out after that experience. Sherri is a very friendly and outgoing person and not only is the golf business fortunate enough to have her, the entire Grand Strand is lucky enough to have Sherri as an ambassador. Thanks Tanger for bringing her to us.